Mr. Travis Lee Black, 52, passed away on Thursday, April 11, 2019. He was born in Forsyth County on March 8, 1967 to Bobby Black and Glenda Morgan Black. 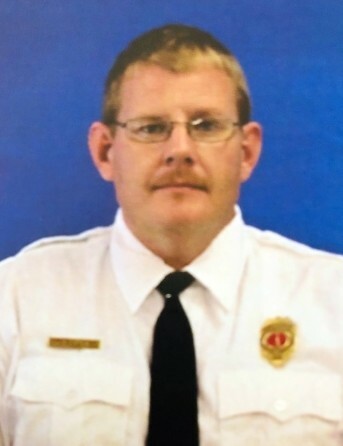 Travis was a firefighter and a paramedic in Yadkin County for many years. He enjoyed spending time with his family and loved them dearly. Travis was preceded in death by his mother. Surviving are two sons, Tyler and Austin Black and his father, Bobby Black. A memorial service will be held at 3:00 PM Monday, April 15, 2019 at Concord United Methodist Church. The family will receive friends from 2:00 to 2:45 PM prior to the service. Memorial contributions can be made to the Mental Health Association in Forsyth County at 1509 South Hawthorne Road, Winston Salem, NC 27103. Online condolences may be made at www.hayworth-miller.com.